You will find below the horoscope of Katy Mixon with her interactive chart, an excerpt of her astrological portrait and her planetary dominants. If you know the time of birth of Katy Mixon, we would appreciate it if you would send us your information with your source, at stars@astrotheme.com. To thank you for contributing to the enhancement of our astrological database, we shall be glad to send you the astrological portrait (34 pages) of this celebrity. Horoscopes having the same aspect Sun conjunction Mars (orb 0°37'): David Bowie, Blake Lively, Amitabh Bachchan, Aaliyah, Yasmine Bleeth, Ville Valo, François Bayrou, Natalie Wood, Sarah Palin, Dakota Johnson, Fanny Ardant, Patti Smith... Find all the celebrities having this aspect. Horoscopes having the same aspect Venus opposite Saturn (orb 1°46'): Heath Ledger, Jimi Hendrix, Gerard Butler, Matt Damon, Lionel Messi, Brigitte Macron, Victor Hugo, Michael Phelps, Howard Hughes, Lisa Bonet, Florence Foresti, John Forbes Nash... Find all the celebrities having this aspect. Celebrities born the same day: Céline Dion, Vincent van Gogh, Thierry Cabot, Eric Clapton, Norah Jones, Warren Beatty, Paul Verlaine, Francisco de Goya, Sergio Ramos, Piers Morgan, Tracy Chapman, Jean-Claude Brialy... List of all the celebrities born on March 30. Celebrities clicked on in real-time: 577,163,543 times. Katy Mixon (born March 30, 1981) is an American actress. She began her career playing supporting roles in films such as The Quiet (2005), Four Christmases (2008), and State of Play (2009), before landing the female leading role in the HBO comedy series Eastbound & Down (2009–2013). From 2010 to 2016, Mixon starred as Victoria Flynn, sister to Melissa McCarthy's character, Molly, on the CBS sitcom Mike & Molly. She had dramatic parts in films Take Shelter (2011), Drive Angry (2011), and Hell or High Water (2016), and did voice over work in Minions (2015). In 2016, Mixon began starring as Katie Otto, the lead character in the ABC comedy series American Housewife. Here are some character traits from Katy Mixon's birth chart. This description is far from being comprehensive but it can shed light on his/her personality, which is still interesting for professional astrologers or astrology lovers. 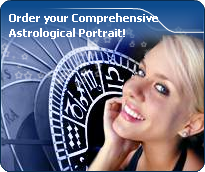 In a matter of minutes, you can get at your email address your astrological portrait (approximately 32 pages), a much more comprehensive report than this portrait of Katy Mixon. Warning: when the birth time is unknown, which is the case for Katy Mixon, a few paragraphs become irrelevant; distributions in hemispheres and quadrants are meaningless, so are dominant houses and houses' accentuations. Therefore, some chapters are removed from this part. Katy Mixon, Fire is dominant in your natal chart and endows you with intuition, energy, courage, self-confidence, and enthusiasm! You are inclined to be passionate, you assert your willpower, you move forward, and come hell or high water, you achieve your dreams and your goals. The relative weakness of this element is the difficulty to step back or a kind of boldness that may prompt you to do foolish things. Cheers for communication and mobility, Katy Mixon! The predominance of Air signs in your chart favours and amplifies your taste for relations and for all kinds of short trips, whether real (travels) or symbolic (new ideas, mind speculations). You gain in flexibility and adaptability what you lose in self-assertion or in pragmatism. Katy Mixon, the Cardinal mode is dominant here and indicates a predisposition to action, and more exactly, to impulsion and to undertake: you are very keen to implement the plans you have in mind, to get things going and to create them. This is the most important aspect that inspires enthusiasm and adrenalin in you, without which you can grow weary rapidly. You are individualistic (maybe too much?) and assertive. You let others strengthen and improve the constructions which you built with fervour. The three most important planets in your chart are Mars, Saturn and Uranus. After this paragraph about dominant planets, of Katy Mixon, here are the character traits that you must read more carefully than the previous texts since they are very specific: the texts about dominant planets only give background information about the personality and remain quite general: they emphasize or, on the contrary, mitigate different particularities or facets of a personality. A human being is a complex whole and only bodies of texts can attempt to successfully figure out all the finer points. Love at first sight, flash in the pan, amorous impulsiveness? All these are part of your way of loving or to fall in love, Katy Mixon. Throughout your relationship, you maintain this kind of jerky and lively style, that may seem childish or naïve, but that is so generous and cheerful! You are undeniably possessive and you are not concerned with your partner's opinion but, fortunately, you readily forgive because of your spontaneity and your authenticity. When your relationship is intense, everything is fine. There is no romanticism, no complications with you. You love with ardour and, except for a few crazes and opportunities for new pastures here and there, the only danger may be that boredom settles in. In that case, you leave without regret and you quickly forget what consumed you, not so long ago. Impulsive, impatient, quick and energetic? You? Yes of course, Katy Mixon. You are courageous and able to make intense and huge efforts for a short while; and what a terrific rhythm! In sport, of course, or in your sexuality, you are not the type who ponders, you take action instinctively, “in a rough and ready way”. You are outspoken, you do not worry about other people's opinion and you do not allow them to slow you down or to judge you. You must succeed or fall apart. You cannot be bothered with diplomacy or with compromises. You are too straightforward and unyielding to waste time with finesse or shrewdness. This is what makes you charming because, with you, one always knows where one stands. This text is only an excerpt from of Katy Mixon's portrait. We hope that it will arouse your curiosity, and that it will prompt you to deepen your knowledge of astrology, as well as to visit and use the wide range of free applications at www.astrotheme.com.